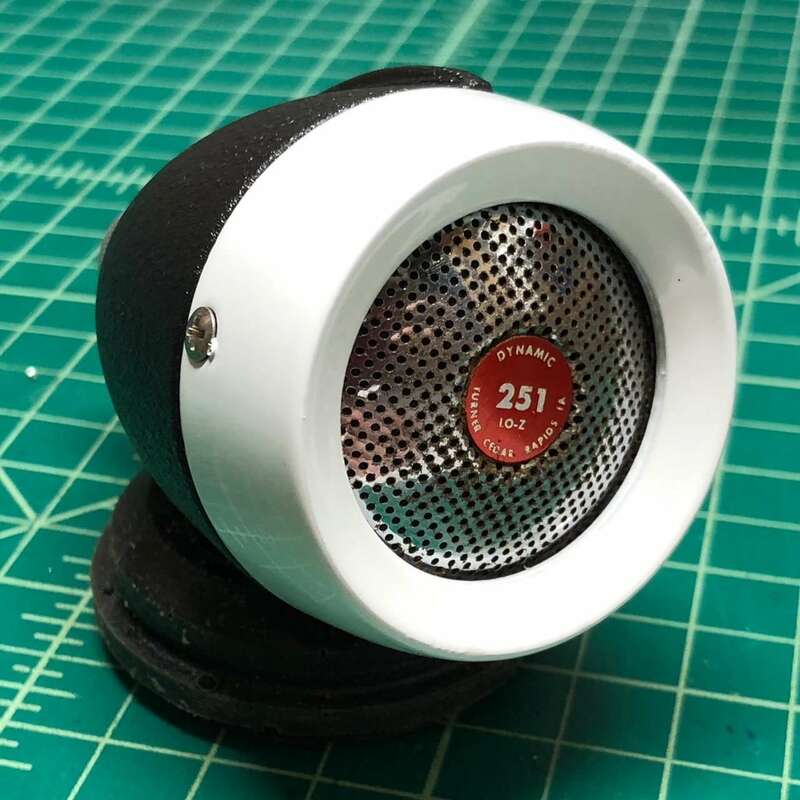 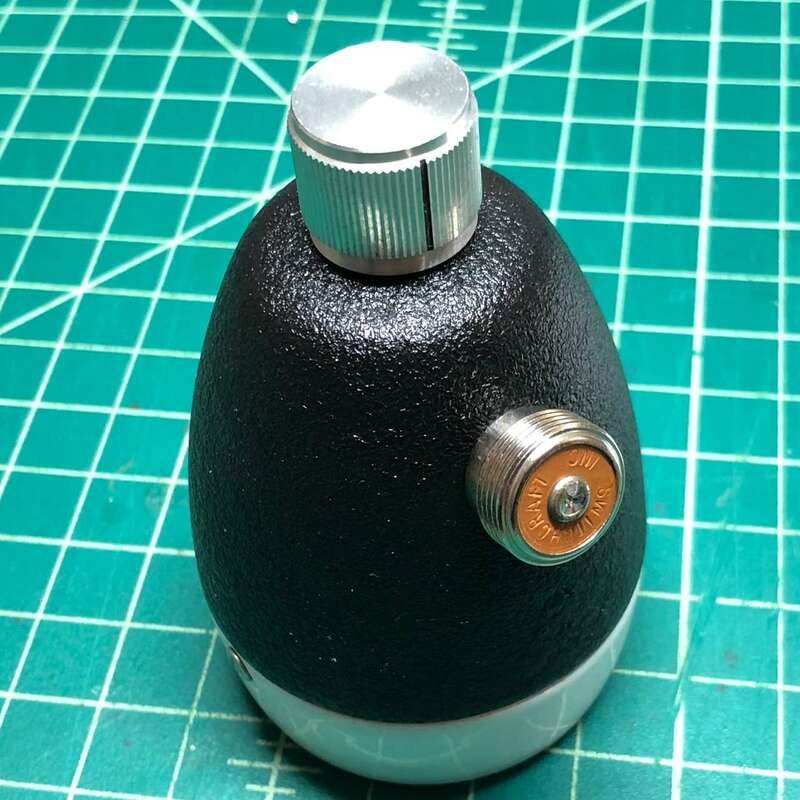 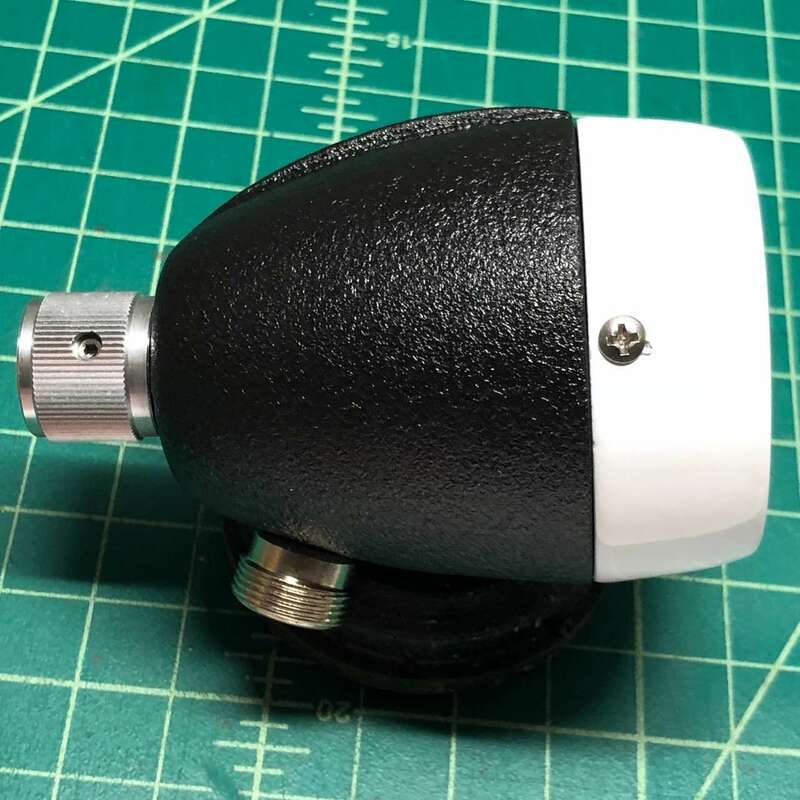 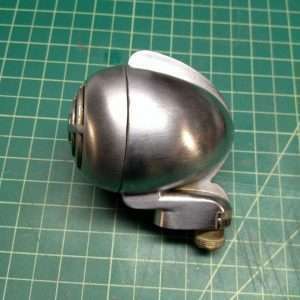 This is a chopped, milled, and powder coated bullet mic head from a classic Turner desk microphone. 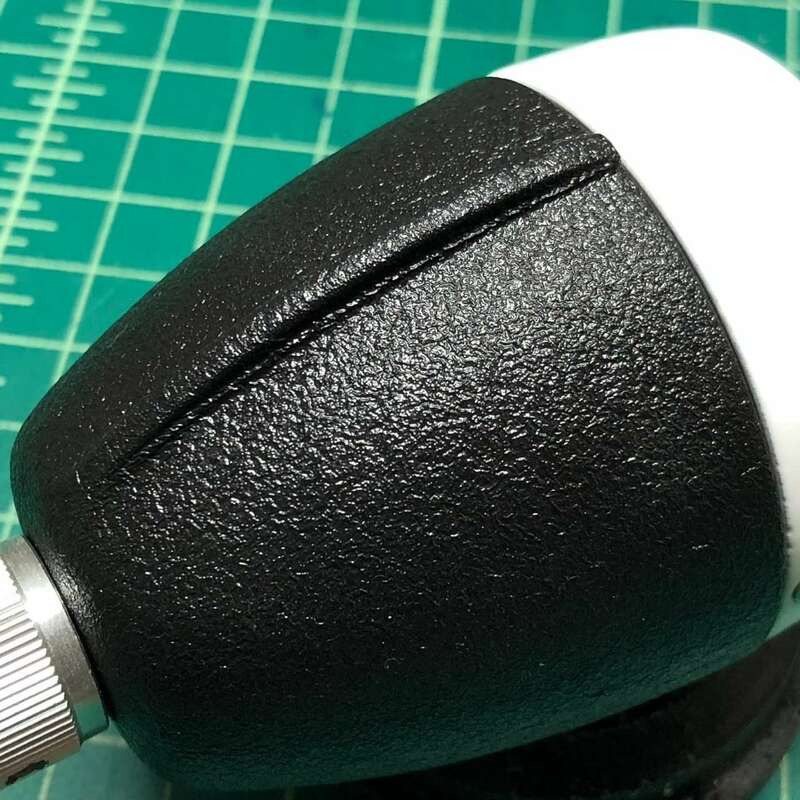 It’s been beheaded, and milled to shorten the center mohawk rib on the top. 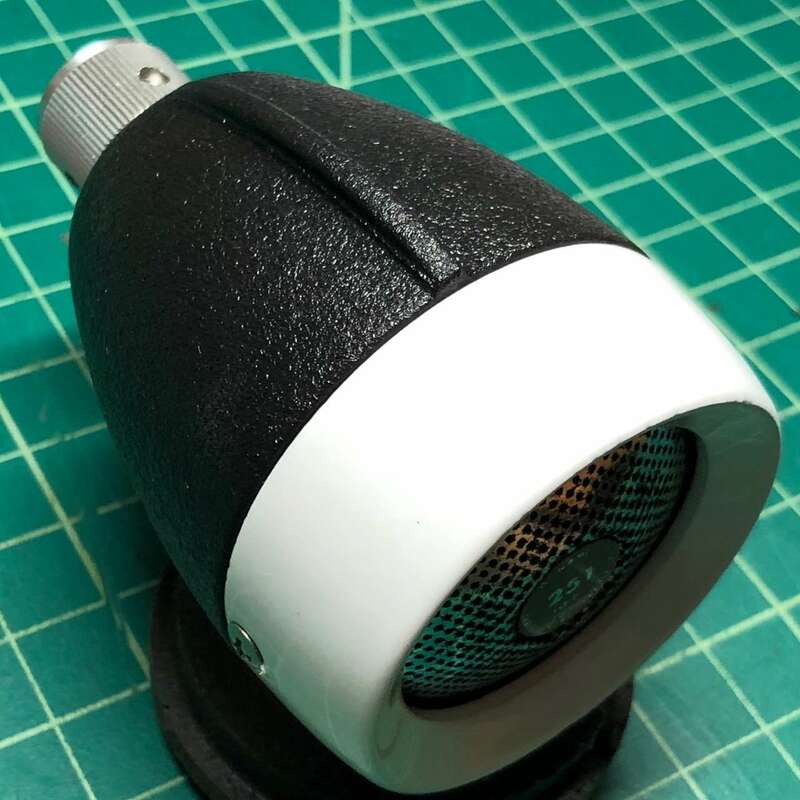 This makes the mic a nice small diameter, easy-to-hold, and light. 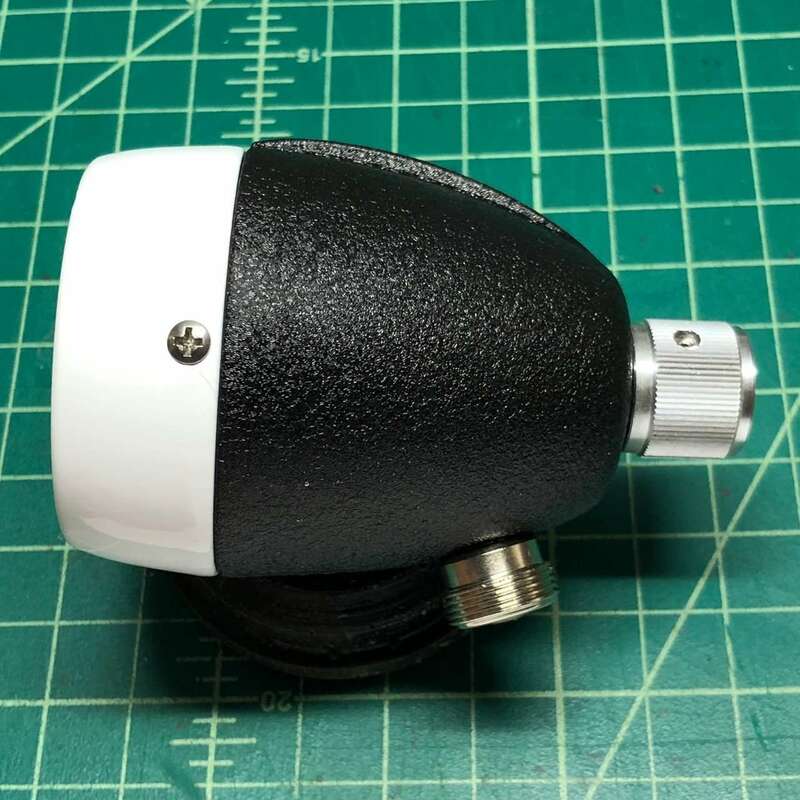 I’ve added a Switchcraft 5/8” screw-on connector and a volume control for on-stage flexibility. 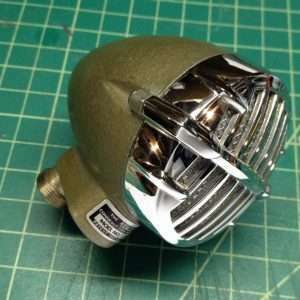 This shell weighs 10 ounces, and has a nice powder white grille ring and original chrome Turner 251 grill face. 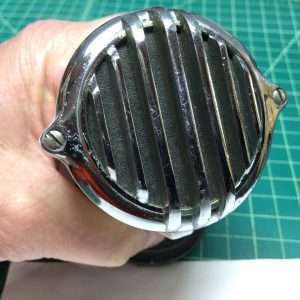 Tone-wise, this mic is hot and has great controlled distortion when cupped, and clear tone when open. 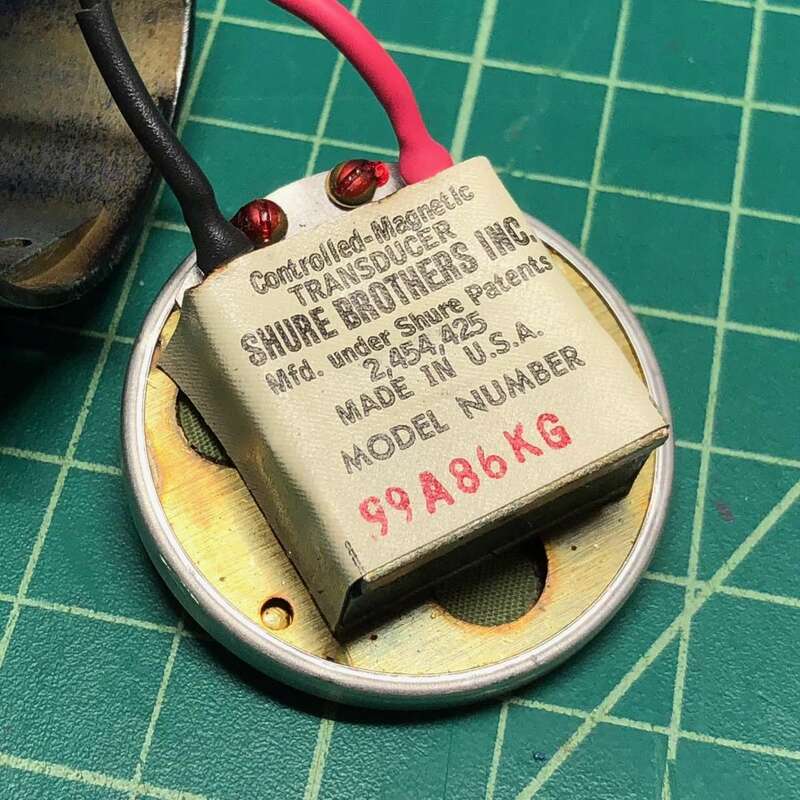 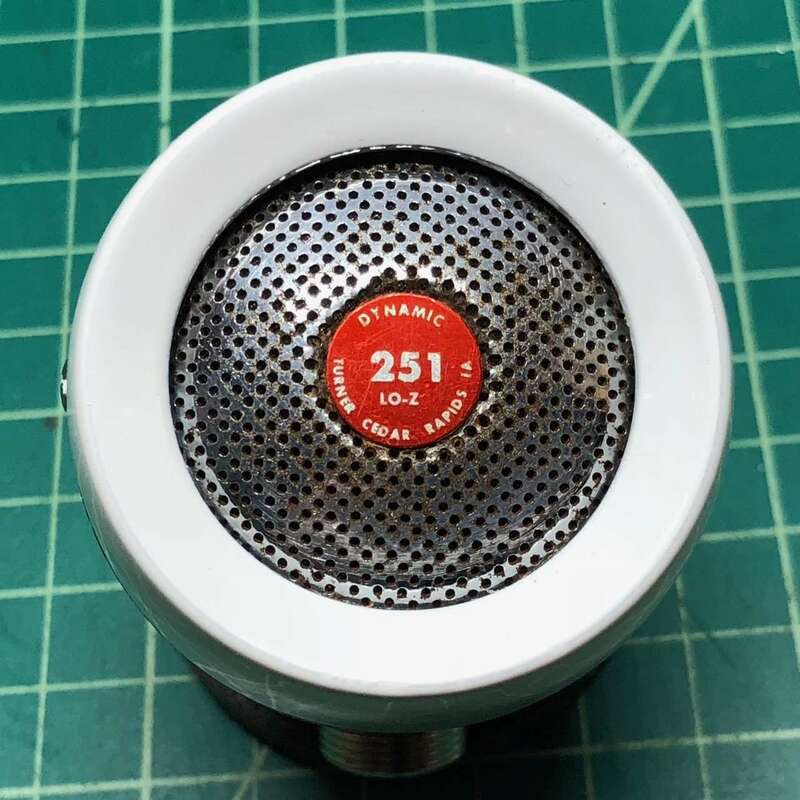 This 1972 Shure CM element sound is what’s important, and it has excellent tone!